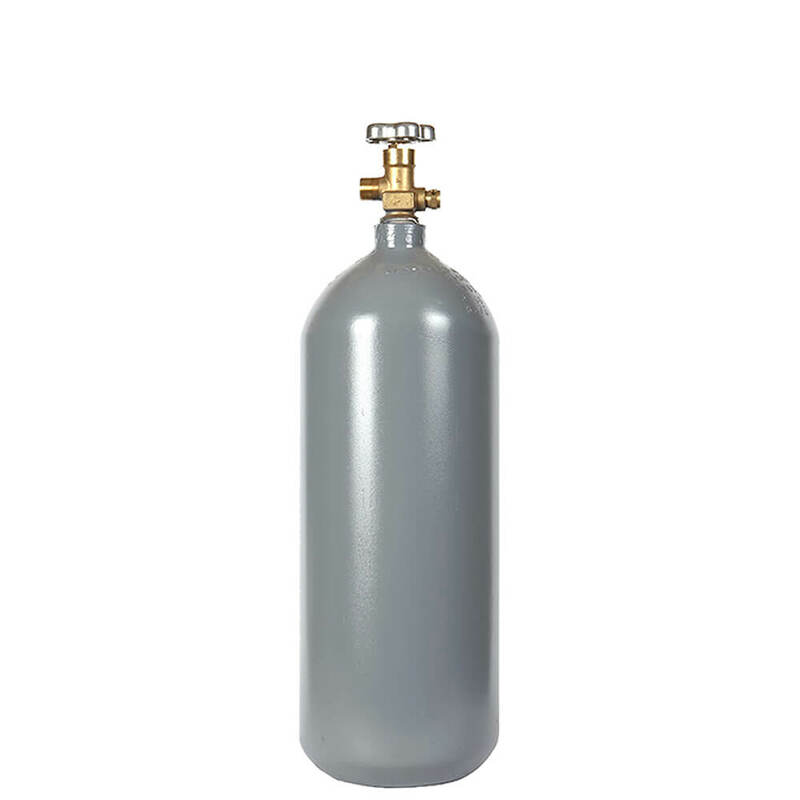 The reconditioned 5 lb CO2 cylinder in steel combines performance, size, and value. Comes with high-quality CGA320 carbon dioxide valve installed for reliable performance. All Safe restores each reconditioned 5 lb CO2 cylinder to a high standard. The cylinders are hydro tested and repainted/refinished to guarantee long service life and reliability. Reconditioned cylinders are sourced from a variety of original manufacturers. As a result, the bottom styles and dimensions may differ. The reconditioned 5 lb steel CO2 cylinder sizes shown here are typical; actual product may vary in height by +/- several inches and also in diameter. The cylinder bottom may be flat or “Coke-bottle” style, depending on the manufacturer.